Microsoft has launched the Lumia 640 XL LTE Dual SIM in India at Rs. 17,399. The smartphone was first unveiled at MWC 2015, but was not launched in India alongside the Lumia 640 Dual SIM and Lumia 640 XL Dual SIM in April. The Microsoft Lumia 640 XL LTE Dual SIM is identical to the Lumia 640 XL Dual SIM, except that it features 4G LTE connectivity in addition, with support for Indian 4G LTE bands. It will be upgradeable to Windows 10 Mobile when it is released later this year. The company is also touting a bundled SIM offer with Bharti Airtel, which includes the Airtel Double Data offer. 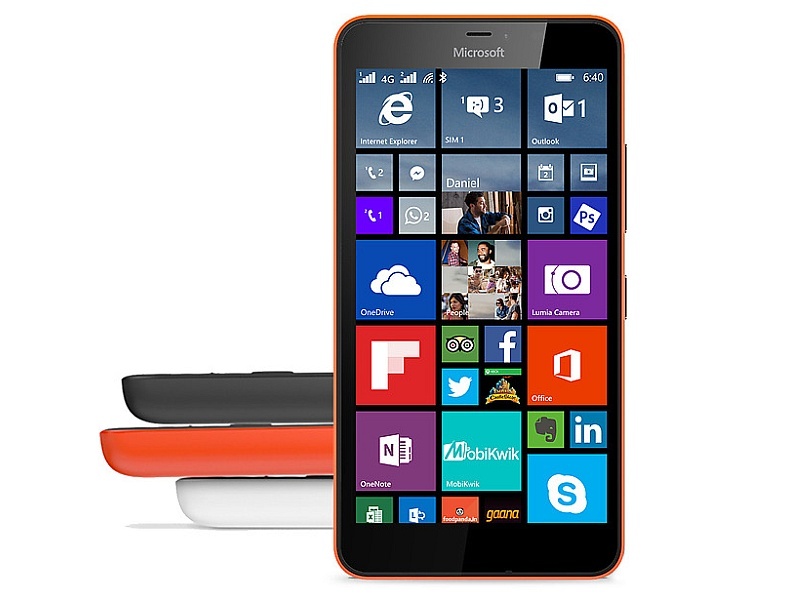 The Lumia 640 XL LTE Dual SIM bears a large 5.7-inch HD (720×1280 pixels) IPS LCD display with Corning Gorilla Glass 3, and is powered by a quad-core Qualcomm Snapdragon 400 processor clocked at 1.2GHz coupled with 1GB of RAM. The new 4G LTE smartphone from Microsoft sports a 13-megapixel rear camera with Zeiss optics and a 5-megapixel front camera. The Lumia 640 XL LTE Dual SIM also packs a replaceable 3000mAh battery that is rated to deliver up to 30.3 hours of talk-time on 2G, and 37 days of standby time. The new Microsoft Lumia phone also packs 8GB of built-in storage, which is expandable via microSD card (up to 128GB). Free OneDrive storage is available up to 30GB, while the smartphone measures 157.9×81.5x9mm, and weighs in at 171 grams.